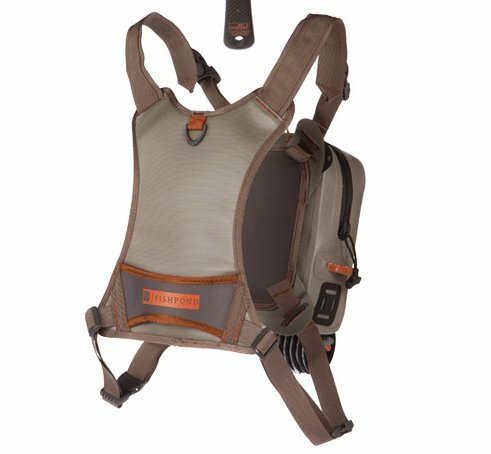 The Thunderhead Chest Pack from Fishpond is a waterproof carry system, for fly fishermen who plan to spend the day on the water. 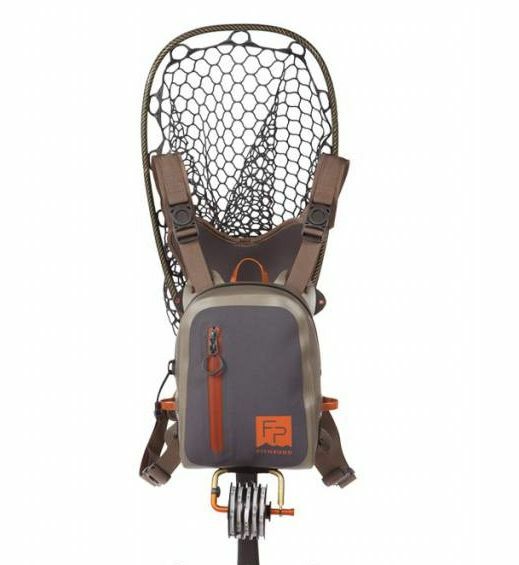 It features a comfortable back harness with a built-in landing net holster. This chest pack can be worn alone or with a Fishpond backpack. It will not carry everything you own, just what you need on the water. And, it will keep your fly boxes and gear inside, dry. The Thunderhead Chest Pack is made from heavy duty, 1680 TPU waterproof material. A waterproof TIZIP zipper keeps your contents safely secured and away from the elements. A stretch mesh pocket with a zipper closure is located on the front for small items. The integrated net slot on the back panel holds long or short handle nets. Inside the main pocket is a clear stash pocket for small gear. Hypalon tabs are located outside for tool attachment. Modular buckles detach the pack from the back. Simply re-attach them to a Fishpond compatible backpack. This outfit can also be supported with a wading belt or strapped to a boat with the webbing pass-through on the back of the pack. The front straps may be removed to keep them out of the way when attached to a boat.